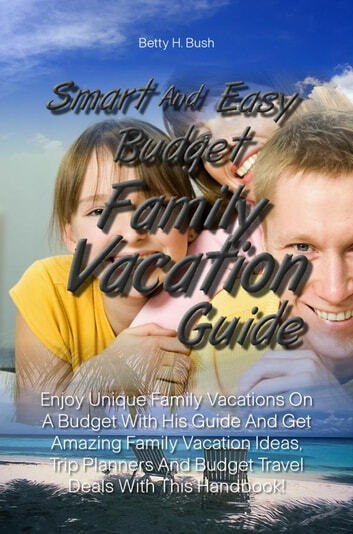 Enjoy Unique Family Vacations On A Budget With His Guide And Get Amazing Family Vacation Ideas, Trip Planners And Budget Travel Deals With This Handbook! The family vacation has been portrayed in many ways. From National Lampoon’s “Vacation” showing the trials and tribulations of the Griswold family trying to get to “Wally World” to “The Great Outdoors” with John Candy and his family renting out a cabin in the woods only to encounter a meddling bear. Family vacations in the media seem to be one thing going wrong after another. But in real life, the family vacation is a time to bond together as a family unit and enjoy newfound times of closeness while exploring new adventures and locales. The memories you can make on these vacations will stay with you for years and give your children special moments they’ll treasure forever. You can choose to drive cross country and see the quirky roadside attractions such as the largest ball of yarn or the corn museum. Some don’t look at this as a true vacation. After all, being stuck in a car for the majority of the trip can breed some real family strife! You could also book a family cruise or fly to Mexico to spend time at a resort, but this can get pricey, and with all the activities they have for children, some parents fear the bonding they were looking forward to won’t happen. For the family on a budget, the notion of a memorable and fun-filled vacation may seem out of reach. That’s simply not true, however. There are many, many ways you can have a terrific family vacation while on a budget. You don’t have to sacrifice fun because of lack of money. There are all kinds of vacations that can be had within almost every budget. While traveling is good for the economy and for your soul, it can be hard on your wallet. In fact, AAA estimates that a family of four should budget at least $244 per day for meals, lodging and automobile travel costs. And that figure doesn’t include the staple of family vacations—entertainment. As usual, the best way to keep the costs down is to plan ahead and make informed decisions. But how do you start? You start with family input, a survey of your resources, and a well-thought out plan. We’ll not only show you how to do that easily, but we’ll also give you all kinds of ideas for family vacations and ways that you can make them affordable and fun! Always dreamed of going to Disney World? You can! Think the Caribbean is out of reach? It’s not! We’ve compiled the advice and suggestions from many vacation experts and added some of our own experiences as well to give you this comprehensive guide to taking a family vacation on a budget! We’ll show you different ways to save money on airfare, hotels, transportation, and eating. We’ll also give you some great specific ideas for family vacations that won’t break the bank along with some suggestions to help you save money and time in general while on your family getaway.